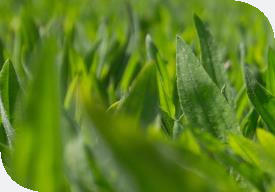 Proprietary seed company, Agricom, has commercially released Ecotain environmental plantain. In September 2017, Agricom announced research findings that showed the natural, environmentally friendly forage cultivar can significantly reduce nitrogen leaching from urine patches on livestock farms. Ecotain comes out of the Greener Pastures Project, which combines research and expertise from Agricom, Massey and Lincoln Universities, and Plant and Food Research. In parallel with the DairyNZ-led Forages for Reduced Nitrogen Leaching (FRNL) programme, the Greener Pastures Project has a comprehensive series of peer-reviewed scientific papers to support findings on Ecotain. Agricom Science Lead, Dr Glenn Judson, says, depending on the factors at play on-farm and the extent to which Ecotain is used, the reduction in nitrogen leaching is significant. “In one of the research programmes, where Ecotain is used in what is likely the optimal way, there was a reduction in nitrogen leaching by as much as 89 per cent from the urine patch. “We know that the urine patch is the greatest source of leached nitrogen. You have a cow, for example, grazing across a large area of pasture, about 140 square metres per day. When they urinate, they’re depositing a high concentration of nitrogen into a small area relative to the size they were grazing, and that small area is the urine patch. “The plants and soil surrounding the urine patch can’t absorb all that nitrogen so it’s easily leached away below the root zone and also into the water table. Research is showing us that controlling the nitrogen in the urine patch is the most practical way to reducing nitrogen leaching on-farm,” he said. Research has demonstrated that not all current cultivars or breeding lines of plantain can reduce nitrate leaching from the urine patch Ecotain environmental plantain now available through the four aspects Ecotain can: dilute, reduce, delay and restrict. Ecotain increases the volume of cows’ urine (which dilutes the concentration of nitrogen), it reduces the total amount of nitrogen in animals’ urine, it delays the process of turning ammonium into nitrate in the urine patch, and it restricts the accumulation of nitrate in Ecotain-growing soil. From an agronomic perspective, Ecotain can be easily incorporated into a farm system without compromising quality. Suitable as a two- to three-year crop option, Ecotain provides autumn and winter growth that is critical for capturing nitrogen during wet conditions. It also contributes invaluable dry matter production, typically at times of the year when ryegrass struggles, particularly in summer and early autumn. For more information, visit www.ecotain.co.nz.